Over the knee boots of synthetic suede. The heel is 3.5 cm ..
Boots of synthetic leather and suede, bellow the knee. 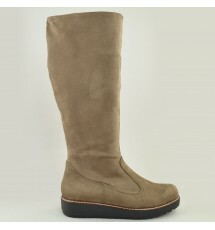 The heel is 8 cm ..
Boots of synthetic elastic suede, over the knee, made in Greece. 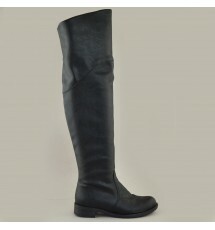 The heel is rubber 3 cm ..
Boots of synthetic elastic leather, over the knee, made in Greece. The heel is rubber 3 cm ..
Boots of synthetic elastic suede, made in Greece. The insole is leather. There is zipper all the..
Boots of synthetic elastic suede, made in Greece. The insole is leather. 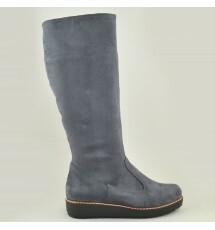 The heel is 8 cm ..
Boots of synthetic elastic suede, made in Greece. 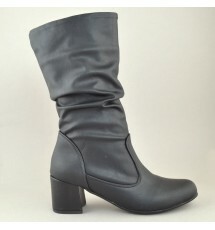 The heel is 5 cm ..
Boots of synthetic elastic leather, made in Greece. The heel is 5 cm ..